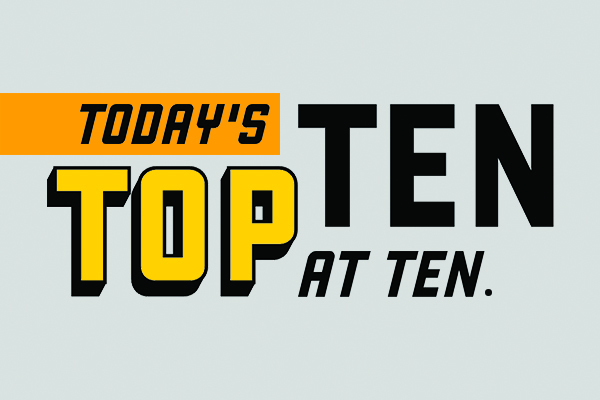 Today's Top 10 is a guest post from Paul Barber, a Policy Advisor with the New Zealand Council of Christian Social Services (NZCCSS), the umbrella group for the social service agencies of the churches. He leads their work on poverty and exclusion, housing and inequality. Hope is the theme for this Top Ten – Ten of the many things that are happening that are giving hope for better communities, a better country and even a better world! 2. Cross-party consensus on child poverty – it is refreshing to listen to MP in Parliament falling over themselves to be nice to each other as they chose to work together to vote through the Child Poverty Reduction Bill that will become law this month. Unfortunately, we don’t know if child poverty is actually reducing yet, because the latest MSD report on poverty didn’t include the child poverty stats for the past two years because of concerns about their accuracy. We are assured that StatsNZ will be releasing the numbers early next year – they will be for 2017, so can serve as a baseline to measure the impact of changes introduced since then. 3. Another cross-party agreement saw better family violence laws passed that come into effect this week. If you check out this White Ribbon Day video from the Association of Social Workers, you will understand why we need better laws to help reduce family violence. 4. A broken welfare system is starting to be fixed – the Welfare Expert Advisory Group (WEAG) has been on the road hearing people’s stories to help inform significant changes that need to happen to the social welfare system. It is due to report in early 2019. In the meantime, Work & Income has been working on making its offices more welcoming places for people to be, and they are getting better – but there is still a long way to go. 5. Tax reform focus on reducing inequality – The Tax Working Group’s Interim Report in September recognised the role the tax system has in addressing the imbalances and unfairness in society. New Zealand’s tax system performs among the worst of the OECD countries when it comes to redistributing income. The TWG is looking at lifting incomes for the lower paid by reducing the tax on people on low and middle incomes. They are also looking at recommendations to extending current tax rules to include currently untaxed wealth gains so that the wealthiest pay a fairer tax on their wealth. Will these changes be enough to reduce inequality significantly? it is a good start but at NZCCSS we think more is needed. 6. Homeless people finding homes – Christchurch is seeing a drop in the number of people living on the streets thanks to the work of the Housing First collective impact group down there, including Christchurch Methodist Mission, Comcare, Otautahi Community Housing Trust, Emerge Aotearoa, the Anglican City Mission and Te Whare Roimata. 7. Virtual mechanics - Virtual reality technology is helping prisoners get a qualification thanks to the shared project between the Methodist Mission in Dunedin, Otago University and Animation Research working together with prisoners in Dunedin’s Milton Prison. 9. Season of giving - Lots of people do want to help others and here are some really good tips from some charities about how to give well this Christmas. 10. A turning point in reducing inequality? We are not there yet, there is a lot more to do with many challenges ahead, but perhaps 2019 will be the year when we look back and say that inequality started to reduce in this country. The combination of lifting low wages, lower unemployment, a better welfare system, fairer taxation, and more affordable housing are some of the key elements for a fairer society where everyone does better, not just a select few ‘lucky ones’. That is what I hope for this Christmas and the coming years. Wishing everyone an Advent and Christmas season filled with hope and joy. I don't want to undermine the message here, because what he says is totally right, but they are just sticking plasters on a far bigger festering issue that has been highlighted in a few articles recently on this site here and here, and others. The real hope is that we get politicians and a Government with the real courage to truly represent the people who put them into power, and do something real to make a significant difference to their lot in the world. I would argue the real hope is having a government that educates its people to a point where they are employable now and into the future. Labour doing a good job so far. Who are the people who put them into power? Was it the rich, the poor, the hippies, the cities, the provinces, etc? Can a government possibly represent everyone? They should at least try. It is more than education though. There needs to be the jobs as well. I have to agree that all Governments don't even try to represent the entire country. You would think that given all the MPs they have they would have the capability to do it, but I think we overestimate the capability of the average MP. I'm confused - I can't really think of any issue where the government could represent the entire country. Can you give an example? Doesn't seem possible does it? Highlights how divided/disconnected society really is. Totally Agree. BUT will just keep on dreaming. Men for f....... around & then f........ off & women for being almost totally unable to parent at 16 (& on their own) because they don't even know who they are themselves as teenagers, let alone how to care for & love their children in any decent way, shape or form. Men in particular, do not seem to want to grow up & take responsibility for their own actions (which can have some pretty brutal consequences). Especially young men (16-24). Even though we call them young men, there are a substantial part of them who are adolescent layabouts, with a smaller group of them totally irresponsible human beings. Young men are almost encouraged to rage against the world & try & get away with anything they can. And in many instances they will & they do. Young men need to be overseen by older wiser men but are sadly not in so many situations. The generation we gap created 40-50 years ago is still there/here today & society has been paying the price in its jails, in its halls of justice, in its hospitals & worst of all, in its dysfunctional 'family' homes, ever since. Interesting note to the above article, they're checking their numbers before opening their big mouths, which is what I should probably do here as well, but from what I've seen & heard & read about, my best guess is that 1 in 5 NZ Inc homes is relationally dysfunctional, to the detriment of most of the other family members, in some way, that feeds into the wider world in some bad way or another. The devaluation of the nuclear family in both reality and also in law, has encouraged this relational collapse of epic proportions, which we can hear about & see every day of our lives. Nobody is not affected. And if you think you are, then good for you, but let me say, you're paying for it your taxes every day you go to work. Or you get to your car at 7.30am ready for work & some b.........d has broken into it & stolen your whatever. You get my point. It's out of control. And I believe most of that is caused because when they were born into it those many years ago, the situation was never in control of itself to begin with. We dropped the ball at the first hurdle & have never recovered since. I've got more, but I'll finish here. The next exciting episode will be on how television corrupted the world. That'll be fun. Have a great weekend everyone. And a Merry Christmas to every social worker in New Zealand. Lots of good points there about the disintegration of the nuclear family. But, one of the points you do definitely need to research the statistics on is the impression you give that more men commit infidelity than women. The world has moved on and I think you'd be surprised with the more recent research on the younger cohorts (i.e., Gen Y and Z). Sadly you might be right Kate.